is a performance artist, painter, sculptor, critic, and curator. His work is based on his involvement with Fluxus in the 1960s and 1970s, when he created performance art pieces, installations and collective art activities that were strongly influenced by John Cage. However, Armleder's position throughout his career has been to avoid associating his artistic practice with any type of manifesto. 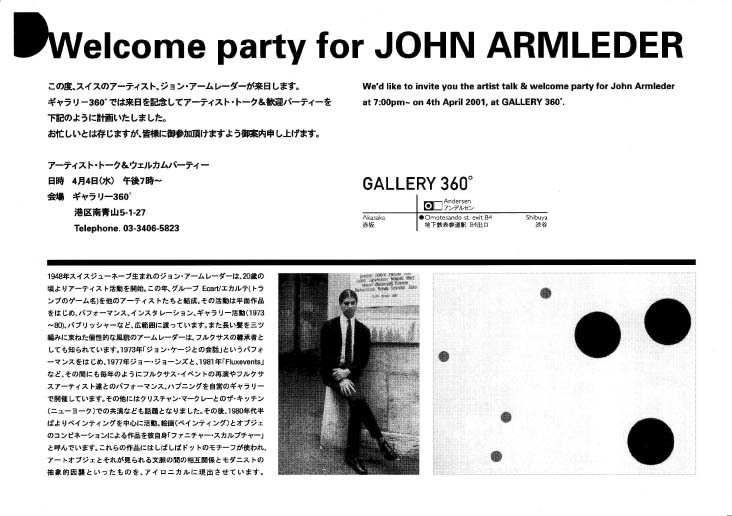 We had an event "Artist"s Talk & Well Come Party" with him in 2001, commemoration of his first visit to Japan.